Cass Gilbert, Cass Gilbert Jr. The Supreme Court Building is the seat of the Supreme Court of the United States. 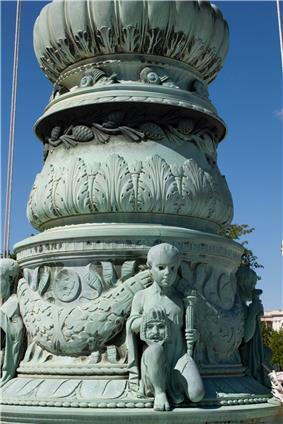 Completed in 1935, it is situated in Washington, D.C. at 1 First Street, NE, on the block immediately east of the United States Capitol. The building is under the jurisdiction of the Architect of the Capitol. 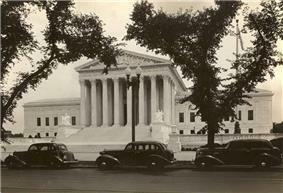 On May 4, 1987, the Supreme Court Building was designated a National Historic Landmark. It is one of a handful of National Historic Landmarks which are not listed on the National Register of Historic Places. Prior to the establishment of the Federal City, the United States government resided briefly in New York, New York. As such, the Supreme Court met there during this time in the Merchants Exchange Building. When the capital moved to Philadelphia, Pennsylvania, the Court moved with it and began meeting in Independence Hall, before settling in Old City Hall at 5th and Chestnut Streets from 1791 until 1800. 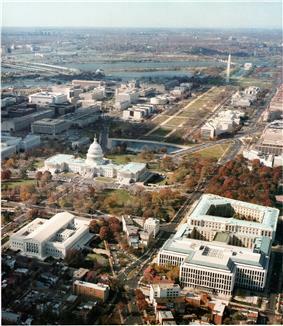 After the federal government moved to Washington, D.C., the court had no permanent meeting location until 1810. When the architect Benjamin Latrobe built the second U.S. Senate chamber directly on top of first US Senate chamber, the Supreme Court took up residence in what is now referred to as the Old Supreme Court Chamber from 1810 through 1860. It remained in the Capitol until 1935, with the exception of a period from 1812 to 1819, during which the Court was absent from Washington because of the British invasion and destruction of the Capitol in the War of 1812. In 1810, the Supreme Court first occupied the Old Supreme Court Chamber in the Capitol. As the Senate expanded, it progressively outgrew its quarters. In 1860, the Supreme Court moved to the Old Senate Chamber (as it is now known) where it remained until its move to the current Supreme Court building. 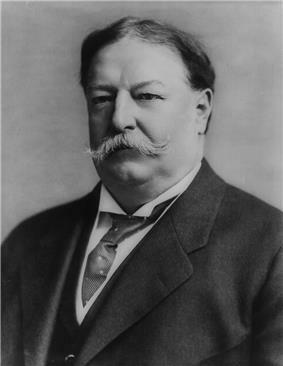 In 1929, Chief Justice William Howard Taft argued successfully for the Court to have its own headquarters to distance itself from Congress as an independent branch of government, but did not live to see it built. The court was finally designed by Cass Gilbert, who created many other structures in the United States. 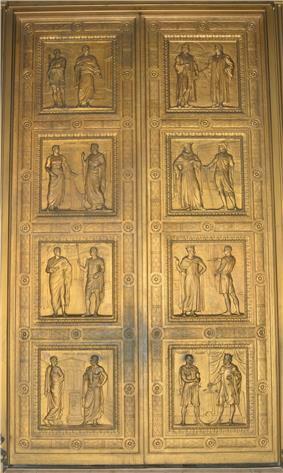 United States Supreme Court Building Bronze doors with eight bas-relief panels depicting scenes in the development of Western law by John Donnelly & Sons. Signifying the importance of the proceedings that occur within, the oversized doors measure 17 feet high, 9 ½ feet wide and weigh about 13 tons. The Supreme Court Building is located at 1 First Street, NE (former site of the Old Brick Capitol, across the street from the United States Capitol) and was designed by architect Cass Gilbert (as Gilbert's last major project; he died before it was completed). It rises four stories (92 ft (28 m)) above ground. The cornerstone was laid on October 13, 1932, and construction completed in 1935, having cost $94,000 under the $9.74 million budget authorized by Congress. "The building was designed on a scale in keeping with the importance and dignity of the Court and the Judiciary as a coequal, independent branch of the United States Government, and as a symbol of 'the national ideal of justice in the highest sphere of activity.'" 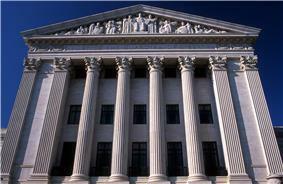 The Supreme Court Building is built in the Alabama marble, except for the Courtroom itself, which is lined with Spanish ivory vein marble. For the Courtroom's 24 columns, "Gilbert felt that only the ivory buff and golden marble from the Montarrenti quarries near Siena, Italy" would suffice. To this end, in May 1933, he petitioned the Italian Premier, Benito Mussolini, "to ask his assistance in guaranteeing that the Siena quarries sent nothing inferior to the official sample marble." Not all the justices were thrilled by the new arrangements, the courtroom in particular. Harlan Fiske Stone complained it was "almost bombastically pretentious...Wholly inappropriate for a quiet group of old boys such as the Supreme Court." Another justice observed that he felt the court would be "nine black beetles in the Temple of Karnak," while still another complained that such pomp and ceremony suggested the justices ought to enter the courtroom riding on elephants. The New Yorker columnist Howard Brubaker noted at the time of its opening that it had "fine big windows to throw the New Deal out of." The west façade of the building (essentially, the "front" of the court, being the side which faces the Capitol) bears the motto "Equal Justice Under Law," while the east façade bears the motto "Justice, the Guardian of Liberty." On November 28, 2005, a basketball-sized chunk of marble which weighs approximately 172 lb (78 kg) fell four stories from the west façade onto the steps of the Court; it had previously been part of the parapet above the word "under" in the "equal justice under law" engraving immediately above the figure of a Roman centurion carrying fasces. After the incident, planning was initiated to repair the west façade which includes cleaning, removal of debris and restoration. In 2012 scaffolding encased the west façade printed with a full-size photograph of the façade. The project was completed in 2013. On the second floor: the Great Hall, the courtroom, the conference room, and all of the justices' chambers except Justice Ginsburg's (she chose a roomier office on the third floor). On the third floor: The office of Justice Ginsburg, the office of the reporter of decisions, the legal office, and the offices of the law clerks. Also, the justices' dining and reading rooms are on this floor. In addition, the Supreme Court Building maintains its own police force, the Supreme Court Police. Separate from the Capitol Police, the force was created in 1935 to look after the building and its personnel. Cass Gilbert's design for the building and its environs included an ambitious Beaux-Arts-styled sculptural program that included a large number and variety of both real and allegorical figures. Supreme Court flagpole bases, and bronze doors in the east and west façades by John Donnelly. West pediment: Equal Justice Under the Law by Robert Ingersoll Aitken. This work includes a portrait of Cass Gilbert, third from the left in the pediment. It also contains a self-portrait of Robert Ingersoll Aitken third from the right. Great Hall: Busts of each of the Chief Justices of the United States in alcoves on either side of the Hall. These marble works are periodically appropriated by the Congress. The most recent addition was Chief Justice Rehnquist's bust in December 2009 to the far end of the north side of the Hall, just to the left of the Courtroom doors. Courtroom friezes: The South Wall Frieze includes figures of lawgivers from the ancient world and includes Menes, Hammurabi, Moses, Solomon, Lycurgus, Solon, Draco, Confucius, and Augustus. The North Wall Frieze shows lawgivers from the Middle Ages on and includes representations of Justinian, Muhammad, Charlemagne, John of England, Louis IX of France, Hugo Grotius, Sir William Blackstone, John Marshall, and Napoleon. The Moses frieze depicts him holding the Ten Commandments, although only commandments six through ten, usually considered the more secular commands, are visible. In 1997, the Council on American-Islamic Relations (CAIR) asked for the image of Muhammad to be removed from the marble frieze of the façade. While appreciating that Muhammad was included in the court's pantheon of 18 prominent lawgivers of history, CAIR noted that Islam discourages depictions of Muhammad in any artistic representation. CAIR also objected that Muhammad was shown with a sword, reinforcing long-held stereotypes of Muslims as intolerant conquerors. Chief Justice William Rehnquist rejected the request to sandblast Muhammad, saying the artwork "was intended only to recognize him, among many other lawgivers, as an important figure in the history of law; it is not intended as a form of idol worship". The court later added a footnote to tourist materials, calling it "a well-intentioned attempt by the sculptor to honor Muhammad". On May 3, 2010, citing security concerns and as part of the building's modernization project, the Supreme Court announced that the public (including parties to the cases being argued, the attorneys who represent them, and visitors to Oral arguments or the building) would no longer be allowed to enter the building through the main door on top of the steps on the west side. Visitors must now enter through ground-level doors located at the plaza, leading to a reinforced area for security screening. The main doors at the top of the steps may still be used to exit the building. Justice Breyer released a statement, joined by Justice Ginsburg, expressing his opinion that although he recognizes the security concerns that led to the decision, he does not believe on balance that the closure is justified. Calling the decision "dispiriting", he said he was not aware of any Supreme Court in the world that had closed its main entrance to the public. On Sunday, January 13, 2002, a wild fox wandered into the building. Although spotted by a police officer and observed on video cameras, the fox eluded capture for more than a day. ^ a b c "Supreme Court Building". National Historic Landmarks Program. 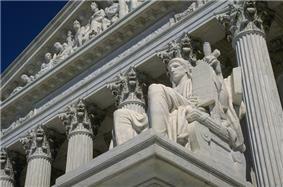 ^ "Photos, exterior and interior, of the U.S. Supreme Court Building". Note that photos but not National Historic Landmark nomination text, if any exists, are available on-line. National Park Service. ^ The Supreme Court Building and just a few other buildings are not listed on the National Register of Historic Places, per enabling legislation for the National Register, probably for separation of powers reasons. ^ a b c d "Overview of the Supreme Court Building". ^ "Study for Woolworth Building, New York". ^ "History of the Court: Homes of the Court". Supreme Court Historical Society. Retrieved 2014-11-15. ^ Tomlins, Christopher (2005). The United States Supreme Court: The Pursuit of Justice (1st ed.). ^ "Supreme Court West Façade Restoration". Architect of the Capitol. June 5, 2013. Retrieved June 19, 2013. ^ Liptak, Adam; Purdum, Todd S. (2005-07-31). "As Clerk for Rehnquist, Nominee Stood Out for Conservative Rigor". The New York Times. Retrieved 2010-05-27. ^ Mauro, Tony (2005-03-02). "The Supreme Court's Own Commandments". The Legal Times. Retrieved 2008-11-02. ^ a b "Press release on new visitor entrance" (WORD). 2010-05-03. Retrieved 2010-05-06. ^ a b "Statement Concerning the Supreme Court's Front Entrance; memorandum by Justice Breyer" (PDF). 2010-05-03. Retrieved 2010-05-06. 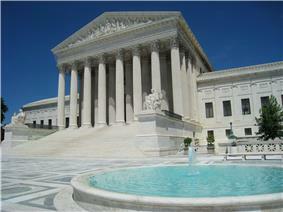 ^ a b "Plan Your Visit – Supreme Court of the United States". Supremecourt.gov. Retrieved 2012-08-02. ^ "Visitor’s Guide to Oral Argument". Supremecourt.gov. Retrieved 2012-08-02. ^ "The Court Building – Supreme Court of the United States". Supremecourt.gov. 1932-10-13. Retrieved 2012-08-02. "Architectural Information Sheets". Supreme Court of the United States. Retrieved 2010-03-19.